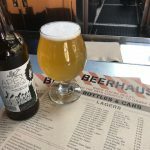 Welcome to June’s Tap House of the Month. We are going to take a quick look at a fairly new place to have a great brew. 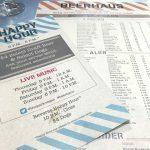 Beerhaus is located at the area that surrounds T-Mobile Arena in Las Vegas. 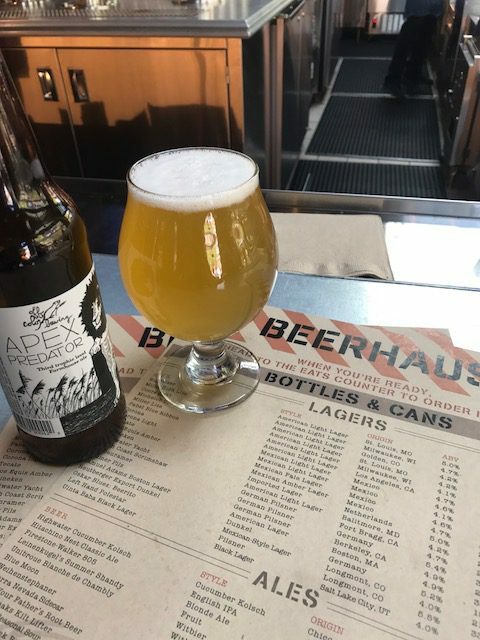 Sitting in the middle of what is known as The Park, Beerhaus is a place to sit and relax with some brews that you might not have had yet. With an extensive beer menu you will be sure to find something that suites your palate. The menu features many local brews from right here in Vegas which include Bad Beat, Crafhaus, Hop Nuts and Lovelady. The large bar in the middle houses enough tap handles to find the flavor you are looking for. 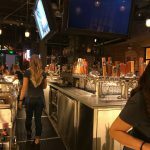 If for some reason you cant find what your looking for from the taps they also have fantastic lineup of bottled beer that may be hard to find out here in the desert. Since this bar is just steps away from T-Mobile, the place to be is right here before or after any event held there. They do offer plenty of seating inside but if the weather is nice there is also plenty of tables outside right on the edge of the walkway. For a bite to eat here you can find dogs and brats, pork and chicken sandwiches and snacks that include fried pickles, pretzels and fries. 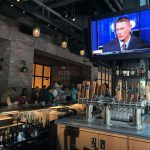 Happy Hour here is daily from 2 – 6 and includes $4 select beers and dogs. 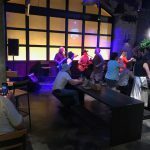 Trivia night is Wednesday and you can usually find live music from Thurs – Sun. 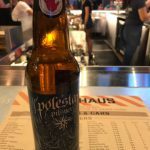 Keep in touch with Talking Hops on Instagram @talkinghopslv and you will be sure to know when we are there for a cold one. Come on down and join us.